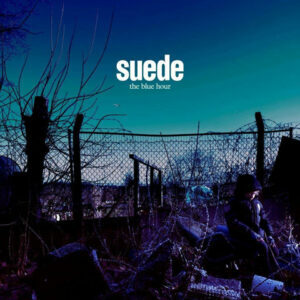 Suede’s third album since reforming in 2010 – and eighth overall – is an ambitious triumph, and shows they are still at the peak of their powers almost 30 years after they formed, says Tim Cooper. Never fear though: the familiar chiming guitars are in there too. Beneath the bluster, As One is a Suede song through and through, while second track Wastelands turns out to be a stone cold classic: a song that could have sat easily on their masterpiece Dog Man Star with a chorus (“When the world is much too much / We’ll run to the wastelands”) destined to be sung by fans at gigs until they call it a day. Which, on the strength of The Blue Hour – the third in a triptych that began, following their 2010 reunion, with Blood Sports in 2013 and continued with Night Thoughts in 2016 – won’t be any time soon. Suede 2.0 are not a heritage band by any stretch of the imagination. Produced by Alan Moulder (Nine Inch Nails, Gary Numan), and featuring the City of Prague Philharmonic Orchestra, The Blue Hour it’s their most ambitious work yet, its songs interspersed with spoken-word sketches and field recordings, often inspired by or involving Brett’s five-year-old son Lucian. If there’s a template for its construction, it’s Bowie’s Diamond Dogs, a similarly loosely conceptual affair, though there’s no dystopian future at Anderson’s heart – childhood and parenthood are the more prosaic preoccupations of the now 50-year-old Brett, happily married with a small son and a teenage stepson, and living in the country. I’m not convinced about the interludes, and I’m even less sure that we need to hear a recording of a father-and-son bonding moment as they discover a dead bird in the grounds of their country residence. But it’s touching to hear Anderson’s themes evolve and his subject matter move on from doomed romance in dormitory towns, nocturnal car journeys around ring roads and roundabouts, and transgressive sexual practices in council flats. He adds: “The Blue Hour is the time of day when the light is fading and night is closing in. The songs hint at a narrative but never quite reveal it and never quite explain,” says Anderson, explaining the title. But as with any Suede album, it’s always about the songwriting, the band, the passion and the noise.” And, thankfully, there’s plenty of that. Beyond The Outskirts could come from that landmark debut album in 1993, its wistful nostalgia suddenly punctured by an explosion of massive Muse-like powerchords at the halfway mark, while Chalk Circles, with its big synthy beginning, big guitar riff , big choral backing and big drums, is reminiscent of Diamond Dogs itself, or even Bowie’s most ‘rocky’ album, The Man Who Sold The world. Another standout is Cold Hands, an urgent pop tune with a shimmering guitar solo that openly references New Generation and could have been a track on Coming Up, while the gentle, pretty but ominous Life Is Golden is another that looks set to become a future live favourite. Delve beneath the disconcerting interludes and there’s an album as filled with Suede standards as the underrated Blood Sports. Tides features one of the chiming guitar arpeggios that are Oakes’s stock in trade, and some vintage Anderson imagery (“I feel you against my paper cuts”), while Don’t Be Afraid If Nobody Loves You is definitely one that could have been taken from one of those first two albums. It builds up to a kitsch finale, Anderson indulging his Bowie fixation amid the swirling strings and harp of All The Wild Places (“Of all the wild places I love / Yours is the most desolate”) and The Invisibles, all lush strings and impassioned vocals, a Still Life for the second generation of Suede fans. Expansive and ambitious, sprawling but reassuringly familiar, The Blue Hour is the work of a band who are comfortable in their middle-aged skins but have never lost the joie de vivre of their younger selves. 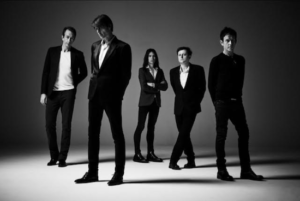 You can follow Suede at their website, on Facebook, Twitter and Instagram. All words by Tim Cooper. You can find more of Tim’s writing on Louder Than War at his author’s archive. He is also on Twitter as @TimCooperES.